Welcome to “I’m Crap Week” part two. In particularly appropriate fashion it is now over a month since “I’m Crap Week” part one. 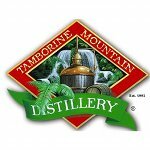 Continuing the theme of things that friends have given me to write about which I haven’t written about, I turn to a triumvirate of bottles from the Tamborine Mountain Distillery. The distillery is in the south east corner of Queensland, about 50 km from the border with new South Wales. The area it’s named for is a plateau that itself is named for the lime trees in the area rather than the instrument. They have been going since the early 90s, when the Ward family moved to the area and found they had a bit too much fruit to eat on their own. Now Michael and Alla, along with their children Sonya and Alex, run the distillery and make an impressively large range of spirits. 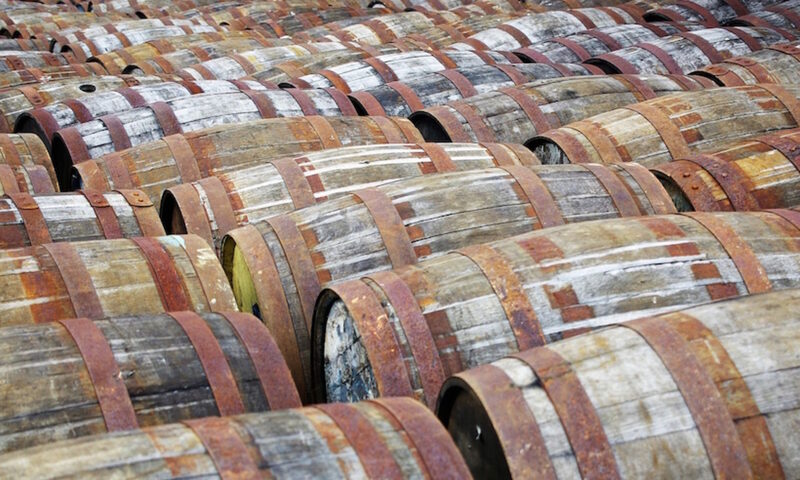 You can find the complete list on their website, but they’ve picked up over 200 awards for their spirits over the last decade, including silvers and bronzes at the IWSC and a more recent 3 gold medals at the World Spirits Awards. Michael also has one of the most impressive beards I’ve seen in a while and has a similar approach to photos as me – open your mouth and look as mad as possible. It’s a good strategy. One day I hope to have as good a beard as him. My former flatmates turned landlord and landlady, Dave and Let, were in the area (well, a couple of hours drive away – Australia is big, that counts as nearby) visiting Let’s family and while meandering around the countryside saw a sign for the distillery. Knowing my love of interesting boozes they popped in and picked me up three bottles. Which they delivered to me in late 2010. Bad Billy. 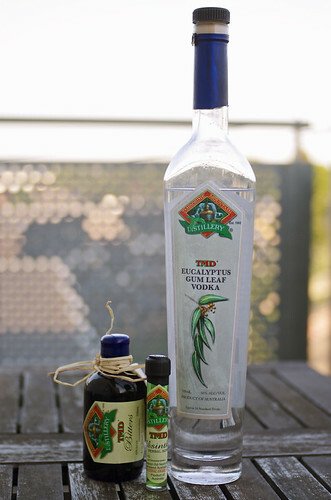 First up was one of this year’s gold medal winners – Eucalyptus Gum Vodka. This was my first foray into the world of TMD’s wares and it scared me off the other bits. It’s a clear and innocent looking vodka, but as soon as you remove the cork you can tell what it’s made from. On the nose there’s a massive hit of Vick’s Vaporub, along with medicinal alcohol, Deep Heat and a musty note that has developed since I first opened it. To taste the Vick’s is joined by fake lemons and the musty note goes a bit socky. It doesn’t hang around long, but your lips will tingle for a bit and your sinuses will be clear for days. The musty note has developed over time and the kick of the eucalyptus has calmed down a bit, but my original tasting note pretty much still stands – Like a lemon Locket dipped in Vick’s and snorted rather than drunk. When frozen it makes a rather impressive shooter. I only did that once. It hurt me. Next was the spirit that I snobbishly assumed couldn’t be any good – the violently green Tamborine Mountain Absinthe, christened Moulin Rooz since Dav’n’Let visited. When I first received it I hadn’t tried any absinthe and still thinking that it was hallucinogenic evilness I put it on the side waiting for a day when I was brave enough to try it. Unfortunately since then I’ve tried a lot of good absinthe and a few rubbish ones, and all of the rubbish ones were violently green. On the nose it had mouthwash mintiness. medicine cabinets, bitter herbal wormwood, bad perfume and lots of alcohol, and I wasn’t particularly inspired. It was only a small 10ml test tube and I mixed it 1-3 with water, expecting there to be little or no louche. How wrong I was – a slow forming and thick louche wobbled around the bottom of the glass, eventually finishing pale blue green. The diluted nose was totally different, with savoury garden herbs (marjoram and thyme? ), mint, anis and a touch of floral hand soap. To taste it had a big aniseed hit quickly overtaken by very bitter green wormwood, lots of chopped green herbs and damp grass. It finished with a hit of wormwood as you swallow, followed by chamomile florality (I think that’s a word), sweet anis and lingering bitter green herbs. As it was so bitter, the most bitter absinthe I’ve tried in a while, I added some sugar which took the edge of the bitterness while leaving the green flavours intact. Overall it was quite impressive – a big green, herbal and bitter absinthe that was nothing like I expected. I’d like to try it again before I make any judgements, but it was definitely worth another try. Last was the distillery’s bitters. I tried this in what is becoming not only my standard way of trying new types of bitters but also a way that I seem to drink them increasingly often – a few drops in a glass of fizzy water. I love my Sodastream. I gave the bottle a few shakes, which dropped a little bit of a pale yellow bitters into my glass. Unimpressed by the light colour I gave it a few more shakes without much change. On the nose I got a strong spicy notes – nutmeg, coriander and ground allspice – along with some orange zest. To taste it started with a big hit of ground spice – garam masala galore, especially clove and cinnamon – followed by bitter wood. It finished with a lingering bitterness that perked up with some sweeter cakey spices. This was a rather savoury bitters with quite a punch – in order to work out how it compared to Angostura (my benchmark bitters) I added a few shakes to a glass, and then a few more, and then some more, until I ended up with a dark red glass of soda without anywhere near as much flavour as the Tamborine infused glass. It’s now become my new favourite gin & tonic topper, adding some ground spiciness when I don’t have a lime to garnish. Next time we are out we will definitely make another trip there. Anyway, good to know you have a Sodastream, can’t think where you got that from either ;). You and the lovely Let are the alcoholic wind beneath my wings.